OO Gauge Battle of Britain Class Biggin Hill. Kit will require assembly, painting and supplied transfers applying. Please note model shown is 92 Squadron, but is identical except for decals. 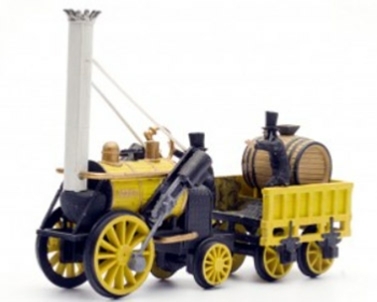 OO Gauge Stephenson's Rocket and Tender. Kit will require assembly and painting.